From decor to dress-ups, these beautiful wearable animals by French company Ratatam have many uses. They can be a decorative blanket, they can cover a stroller, or provide a fun and cuddly dress-up toy. We all love the imaginative adventures that dress-ups can bring. 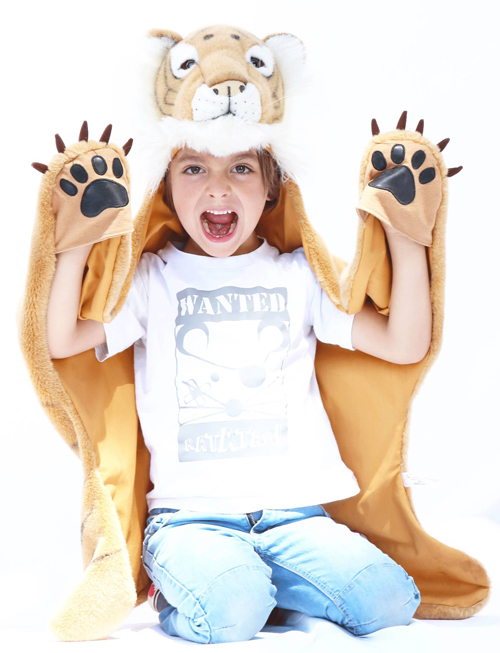 Ratatam has designed a range of fun animal dress-ups that are so easy to take on and off because there is no need for zips or buttons. 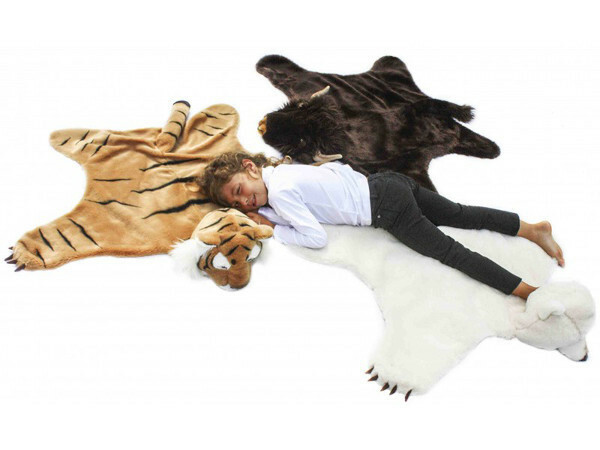 When the kids are not wearing them they can become a soft rug on the floor, or a quirky bedcover, or a warm blanket for snuggling up on the couch. There are six great animals to choose from: brown bear, polar bear, dinosaur, zebra, bison, and tiger. Such a unique gift idea for the little animal-lover in your life. Ratatam dress-ups are sized for kids aged six to eight years old. 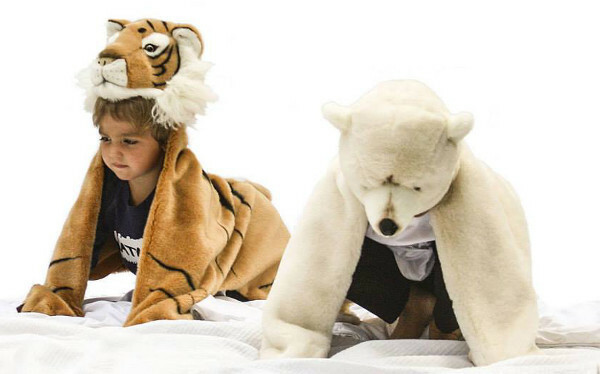 They are made from faux fur that is 100 per cent polyester, so they are durable and machine washable. They are priced at €99, plus shipping via Ratatam, which happily delivers to Australia.